THE B-MOVIE NEWS VAULT: THE SPELL has been cast, and A DARK SONG sung by Scream Factory! THE SPELL has been cast, and A DARK SONG sung by Scream Factory! SCREAM FACTORY GIVES HORROR FANS SOMETHING OLD AND SOMETHING NEW WITH THE ADDITION OF "A DARK SONG" AND "THE SPELL" TO THEIR MASSIVE CATALOG! Once again, the powers that be at Scream Factory have delivered more genre films that I am totally unfamiliar with, and that's a good thing! Black magic and chubby girls with special powers await those of you brave enough to pick up either of these releases! Synopsis: "Two broken souls. An unholy alliance." Grieving Sophia (Catherine Walker) despairs over the tragic loss of her murdered son. Desperate to somehow make contact with the boy she has lost, Sophia believes her prayers are answered when she crosses paths with the reclusive Joseph (Steve Oram, Sightseers). An expert in the occult, Joseph reluctantly agrees to aid Sophia through a series of dark and forbidden rituals in order to bring her child back to the world of the living. Pushed to their physical and psychological breaking points, Sophia and Joseph make a disturbing descent into the most depraved corners of black magic. The debut feature from rising horror auteur Liam Gavin, A DARK SONG sustains an air of quiet, creeping dread, tensely building towards a confrontation with evils unknown to our earthly bounds. Interviews With Director Liam Gavin, Actors Steve Oram And Catherine Walker, and Director Of Photography Cathal Watters. 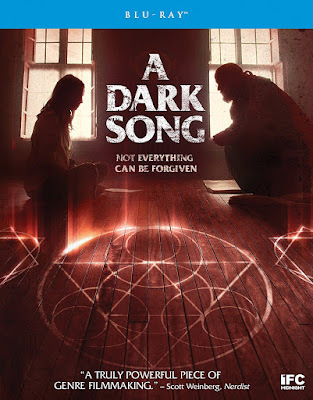 A DARK SONG is now available (on DVD & Blu-ray) at AMAZON, BULLMOOSE, DIABOLIK DVD, and SHOUT! FACTORY. Synopsis: "Her thoughts cast a deadly spell of terror!" 15-year-old Rita lives in an ordinary town, attends an ordinary high school and wants to lead an ordinary life … but Rita is far from an ordinary teenager. Overweight and self-conscious, Rita (Susan Myers, JAMES AT 16) is the victim of cruel teasing by many of her classmates. Only her mother (Lee Grant, DAMIEN: OMEN II) and her gym teacher (Lelia Goldoni, INVASION OF THE BODY SNATCHERS) seem to understand her. But their understanding is not enough to contain the rage that wells up within Rita. And when it does, the rage causes a supernatural power inside of her to take over. Those who are against Rita begin to die. There seems to be no way to stop the terror once Rita has cast her spell. This terrifying television film from 1977 also stars James Olsen (AMITYVILLE II: THE POSSESSION), Helen Hunt (TWISTER) and was written by genre writer Brian Taggert (VISITING HOURS, POLTERGEIST III, and OMEN IV: THE AWAKENING). NEW! Audio Commentary By Made-For-TV-Movie Historian And Author Amanda Reyes! NEW! Interview With Writer Brian Taggert! 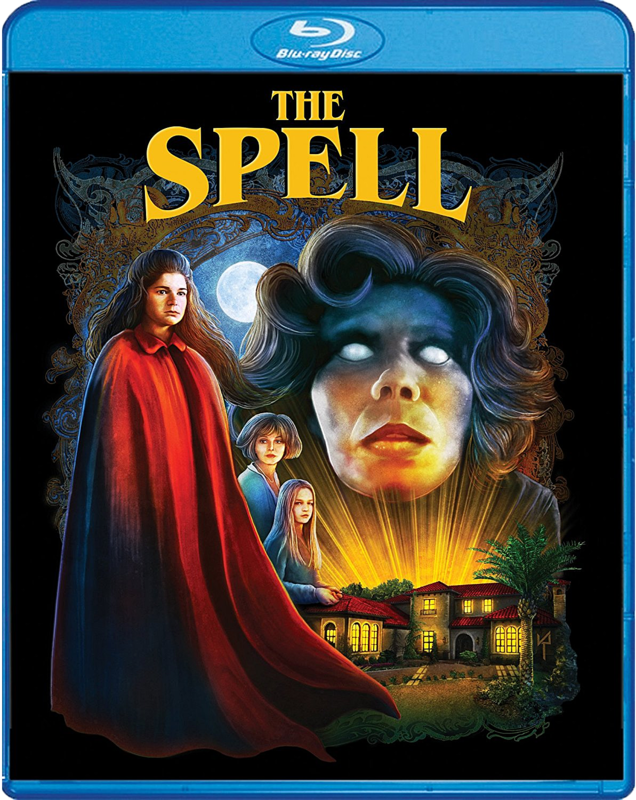 THE SPELL is currently available at most retailers, including AMAZON, BULLMOOSE, DIABOLIK DVD, and SHOUT! FACTORY. 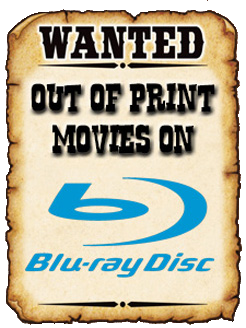 Umbrella Entertainment's October Genre Releases!